Creative arts student Ceardai Demelza’s experiences over the past 18 months are a lesson in how to change your life, starting with a name change. “Another artist who’d changed their name inspired me to do the same,” she said. “Ceardai is an Irish Gaelic word that means artist or artisan.” It makes sense, given creativity now drives every aspect of this student’s life. Ceardai enrolled in the Bendigo course after working in project management in the public service for 15 years in health, community, aged care and education. “I had a career and I made my way up, but it wasn’t my passion,” she says. “Art has always been a part of my life, I’ve always been an artist, but it came second to other things all the time. I just made the decision that’s not what I wanted to happen for the rest of my life. I wanted to be a full-time artist, so I thought I may as well start by going back to study. Ceardai then made another big decision, moving from Melbourne to Bendigo just three days before her course started last year. She says initially she was apprehensive about leaving the city, but the great art facilities on the Bendigo campus were enough to entice her. 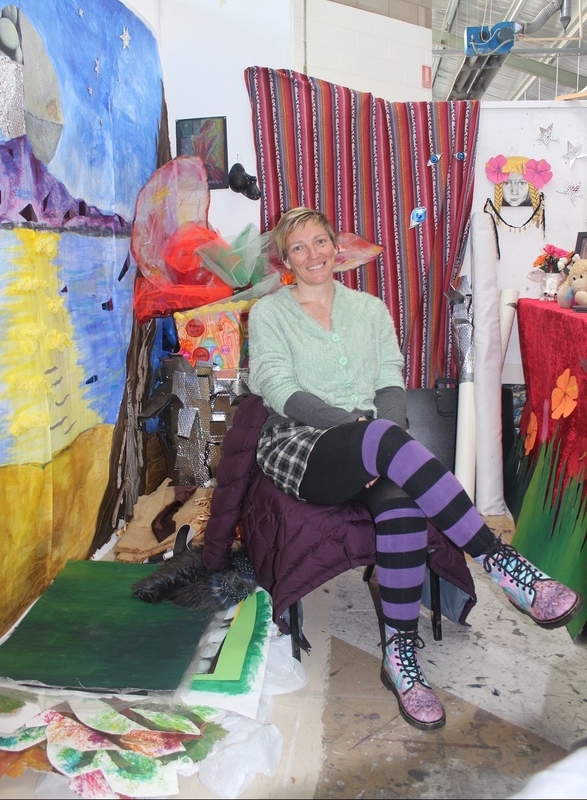 We meet Ceardai in her tiny technicolour studio on the top floor of the creative arts building. There’s a welcoming sign posted at the entrance, inviting people to pop in and snap a sneaky selfie. In a roundabout way, that’s what Ceardai’s been doing in here. Her work right now consists of constructing sets, making props and costumes, then dressing up and putting herself in the scene and taking a photograph. 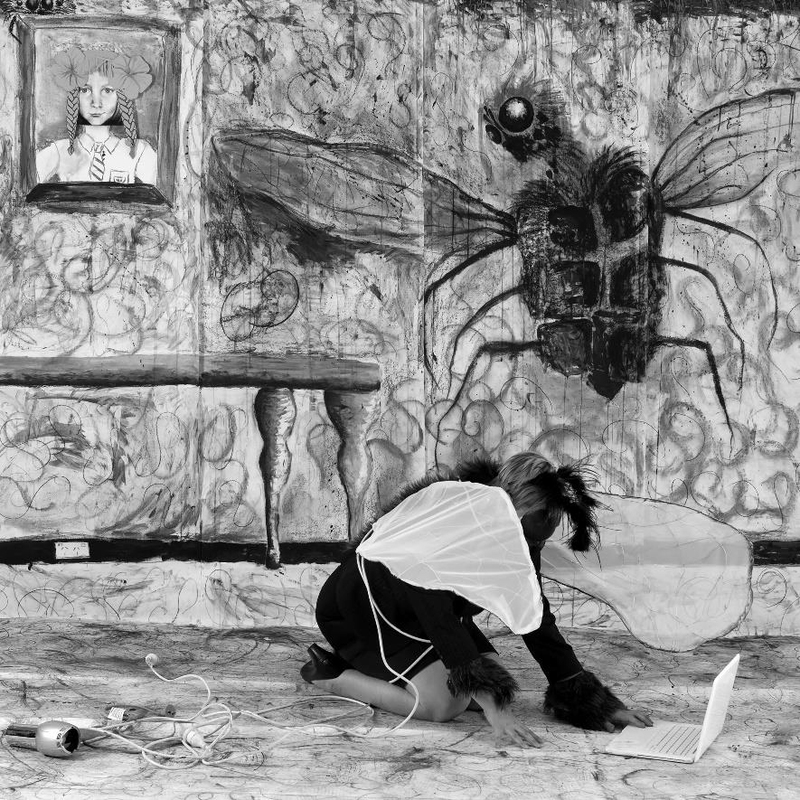 It’s a melding of painting, drawing, sculpture, theatrics and photography. And it’s getting her noticed. 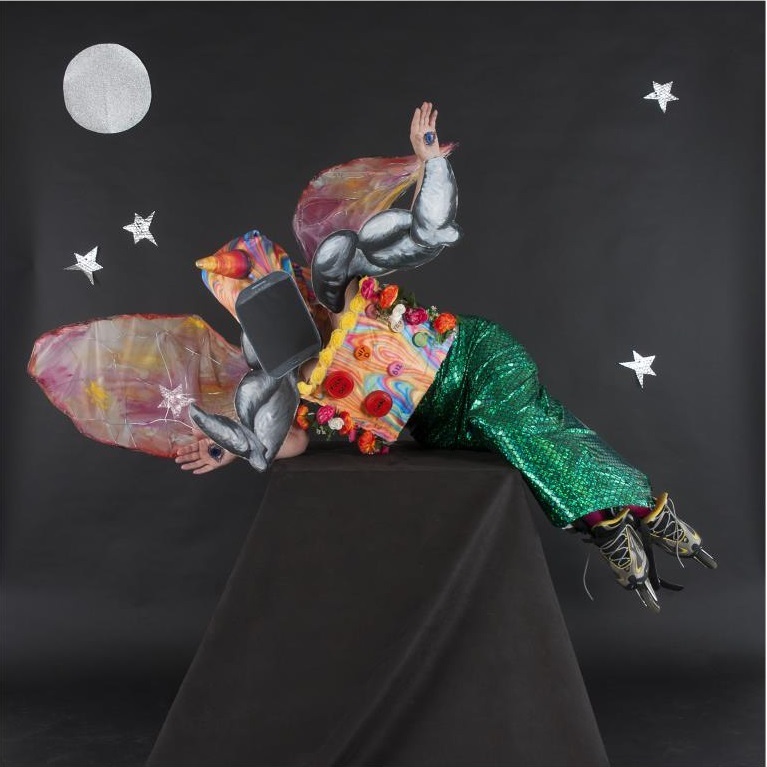 In the past few months Ceardai has received three big accolades for her art. She recently won the Brunswick Street Gallery Small Works Prize ($2000) and the Maldon Art Prize for Photography. Prior to this she received an honourable mention at the Brunswick Street Gallery 40 x 40 exhibition. 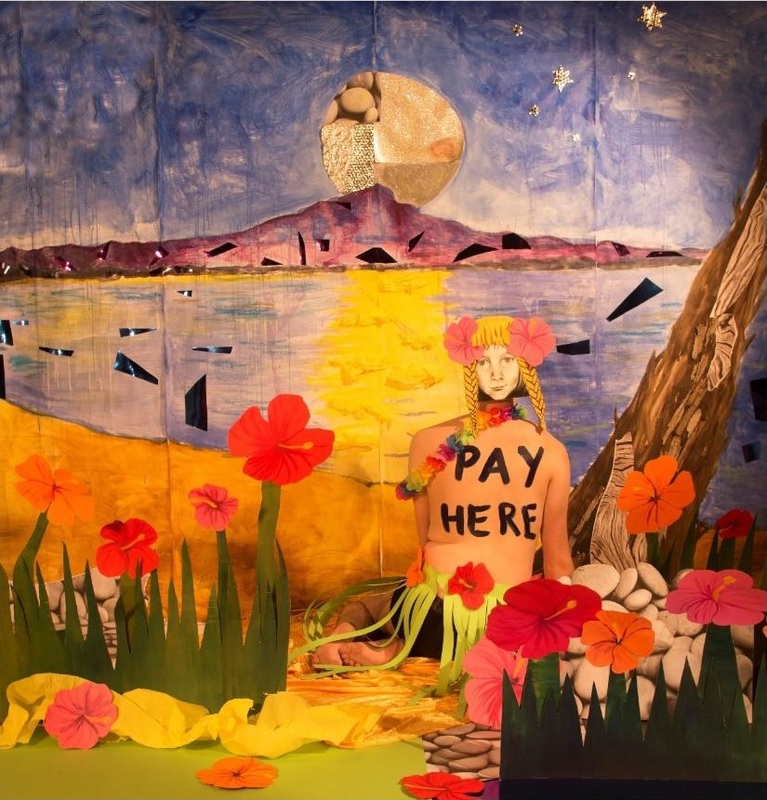 For this artist the work is not only a lot of fun, it’s a way to address concepts such as social class, consumerism, beauty and the environment. “My previous studies had a strong focus on sociology and my work dealt with getting access to services for vulnerable people, so I have a strong focus on social issues and the impact of culture on the way we live comes through really strongly in my artwork. As we speak Ceardai is getting ready for yet another change. This weekend, thanks to winning a scholarship for high academic achievement, she’s heading off on a semester-long exchange with San Diego State University, via a four-week stay in New York to immerse herself in that city’s galleries. “I’m being true to myself now,” she says. Congratulations on your achievements. You are an amazing artist and an amazing human being.